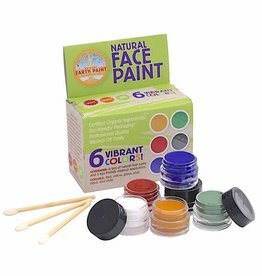 Natural Earth Paint uses pure, natural earth and mineral pigments and organic ingredients to make completely safe, sustainable, and beautiful art supplies for children and fine artists. These paints contain no preservatives, heavy metal toxins, solvents, synthetics and fillers and the products are of the highest quality, pure, radiant and the most archival and durable paints available. For fine artists, we offer a growing collection of supplies to transform the 20th century's "conventional" oil painting process into the 21st century's earth-conscious approach. The vibrancy and luminosity of the natural paints you will create are unsurpassed for creating deeply saturated, satisfying colors. Our children's paints are not only natural and non-toxic but also very high quality and can be painted on wood, stones, fabric, glass, paper and more. Face paint fun for Halloween, festivals, theater, circus or a party! Eco-friendly with over 70% Certified Organic ingredients. 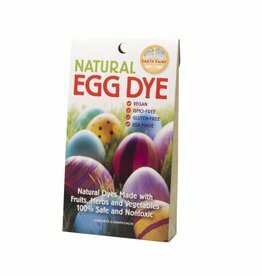 Egg Dye is an organic plant based (vegan)and gluten free colouring kit to colour your toppings and food or Eggs with Easter.